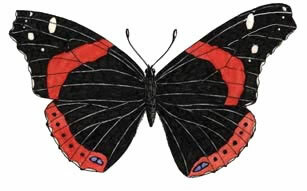 They are found in Canada, south through the U.S., Mexico and into Central America. They also can be found in Hawaii, the Caribbean Islands, New Zealand, Europe, Northern Africa, and Asia. They live along forest edges, shorelines, rivers, roads, parks and fields. 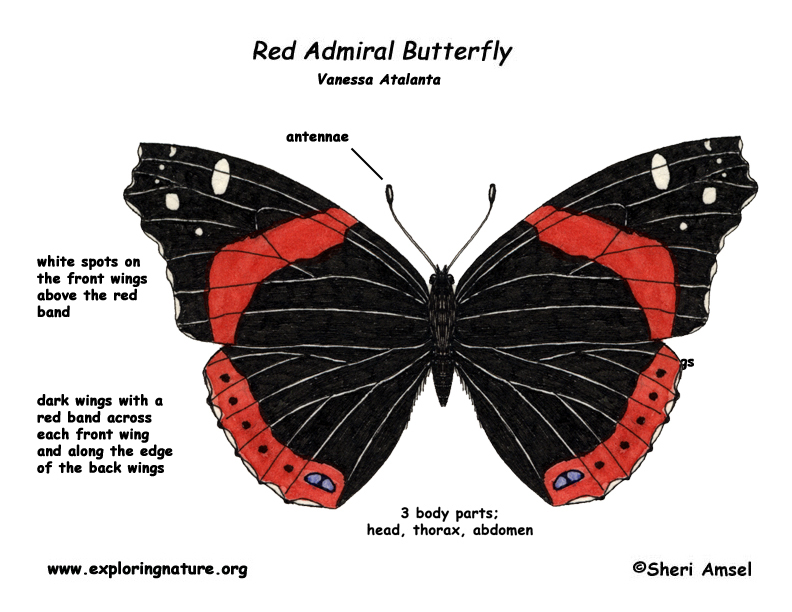 They have dark wings with an orange band across each front wing and along the edge of the back wings. There are white spots on the front wings above the orange band. They have a wingspan of 2.5". They fly very fast, but wandering around. The adults sleep through the winter (hibernate). The caterpillar feeds on nettles. Females lay one egg on a nettle leaf. Hatching young begin to feed.